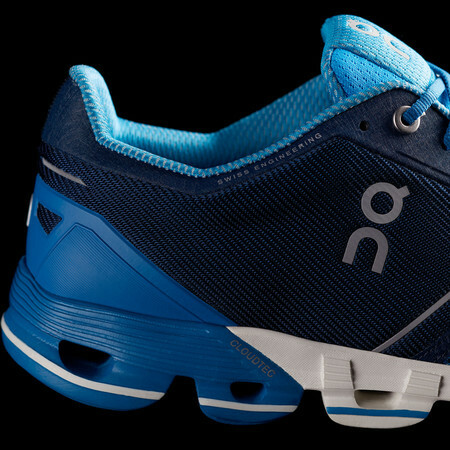 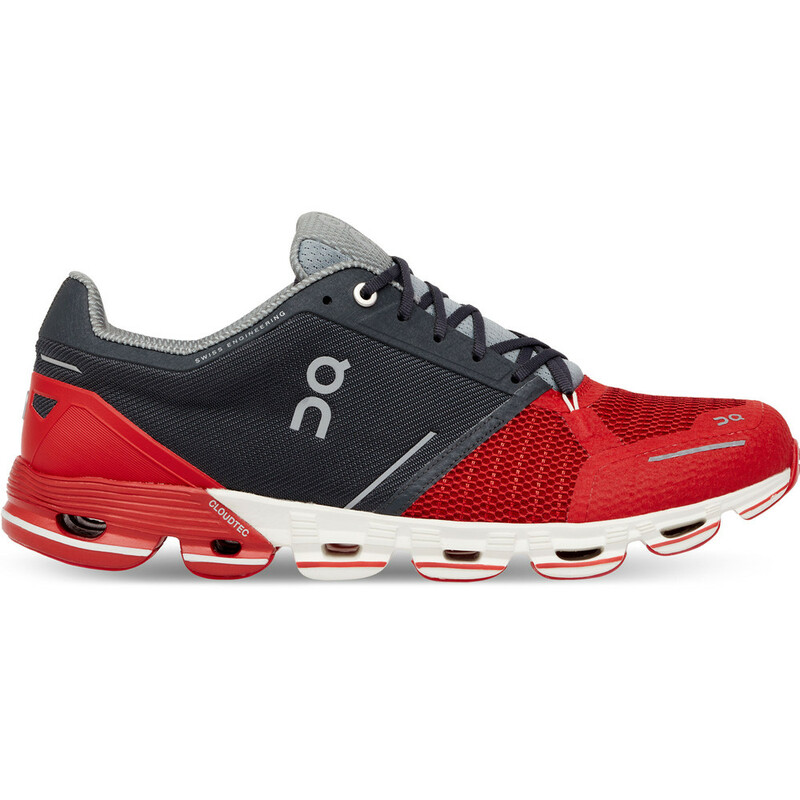 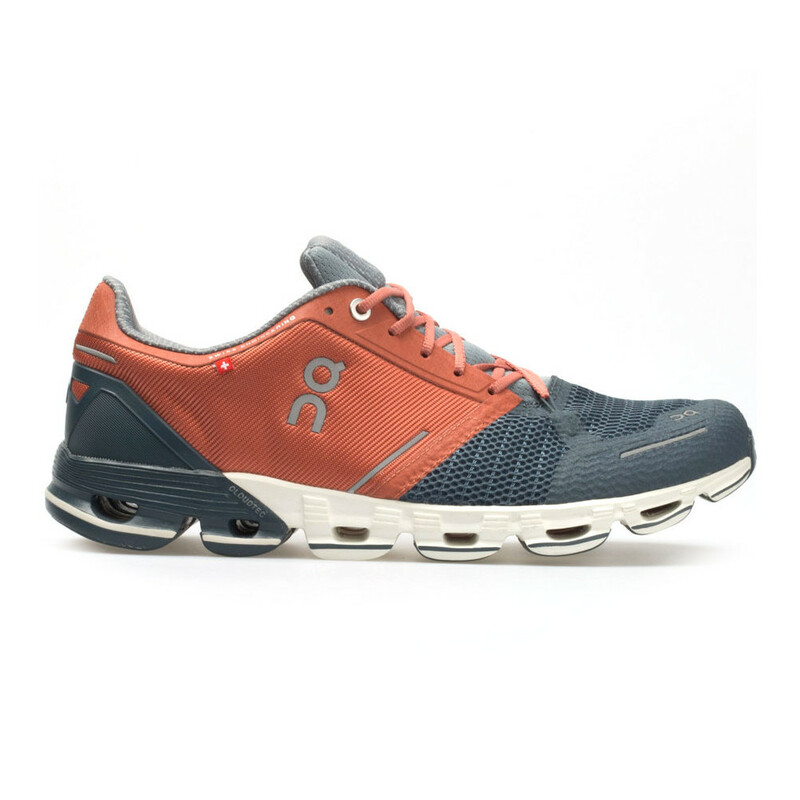 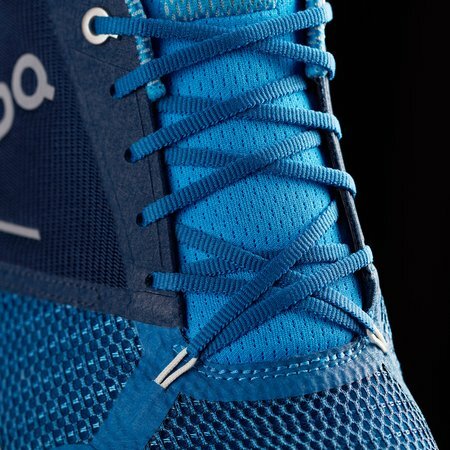 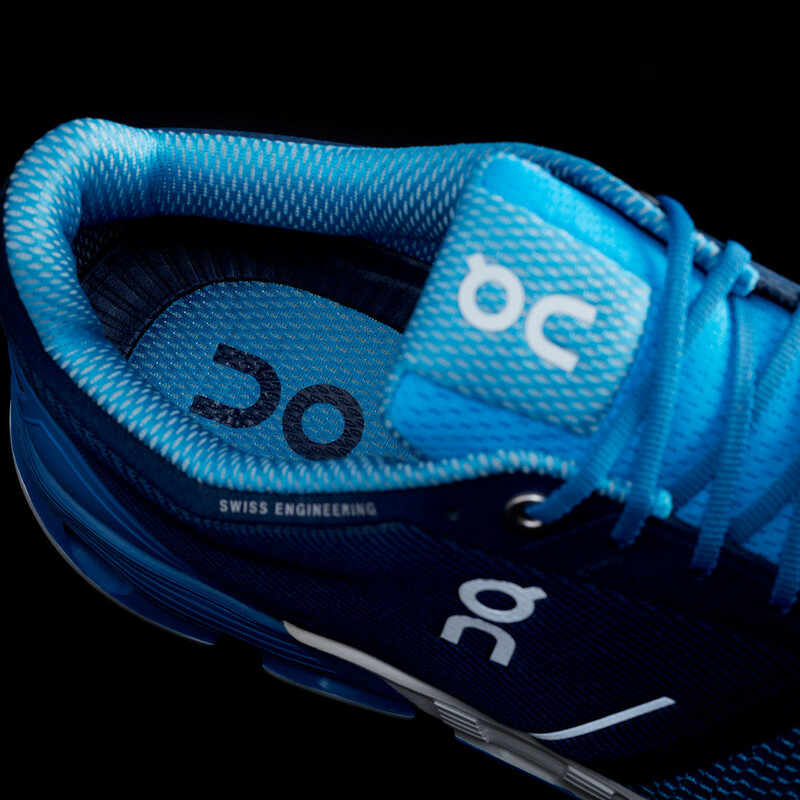 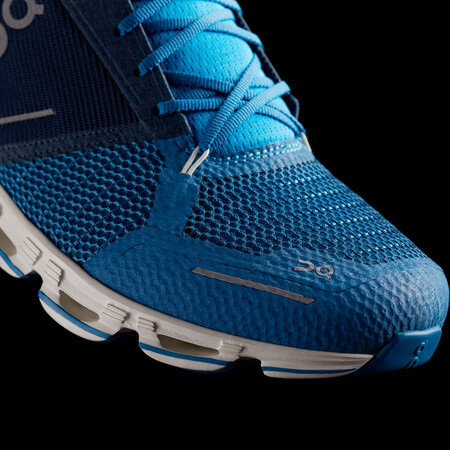 This is the new improved Cloudflyer – the more stable of On’s CloudTec running shoes built from their Zero-Gravity foam. The Zero-Gravity foam compound now includes more rubber for a bouncier feel and a more cushioned ride with greater durability. On the upper, a stability tube in the midfoot area holds the foot securely and comfortably. 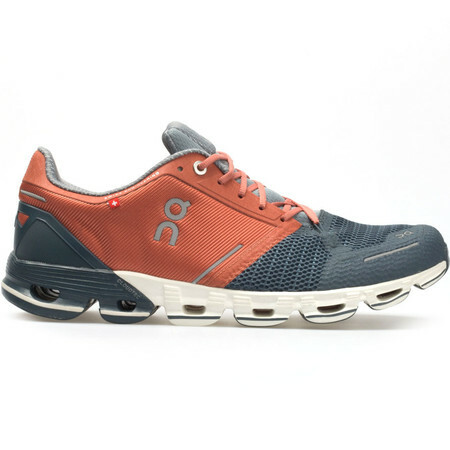 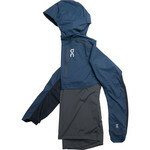 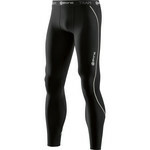 A plush, padded tongue evens out pressure distribution and adds comfort. 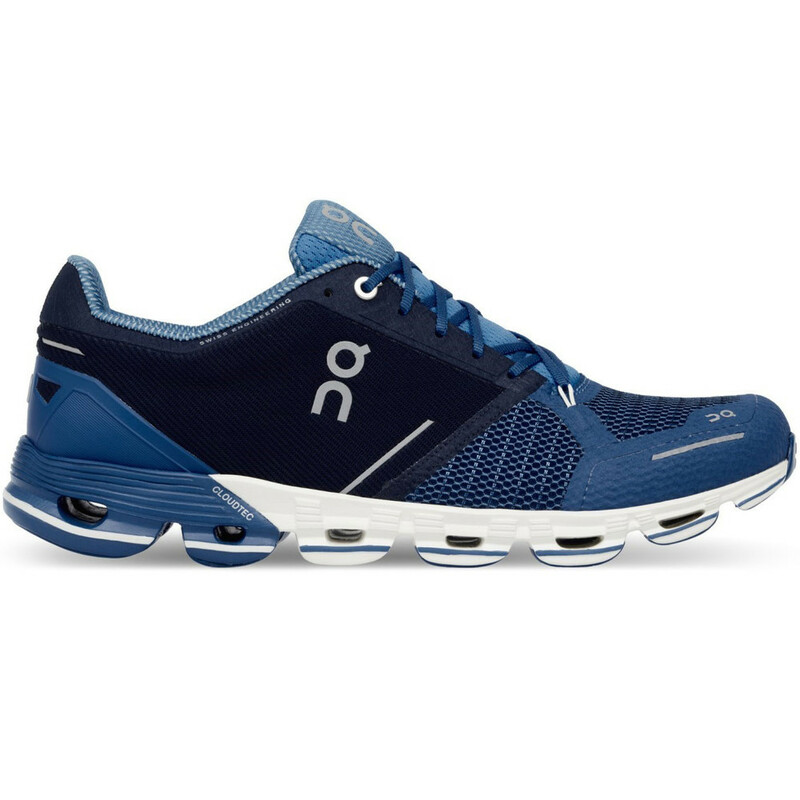 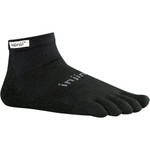 A reinforced V-moulded heel cap with memory foam offers a snug fit and supports the ankle. 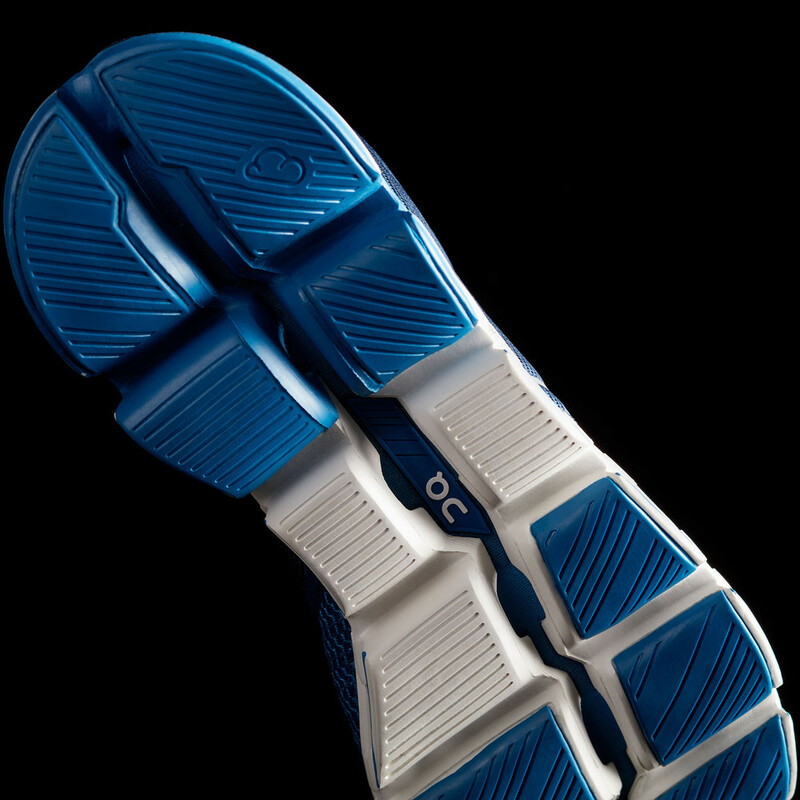 The Clouds in the rearfoot have a wider surface area for stability and are specially designed to counter inward rotation of the foot. 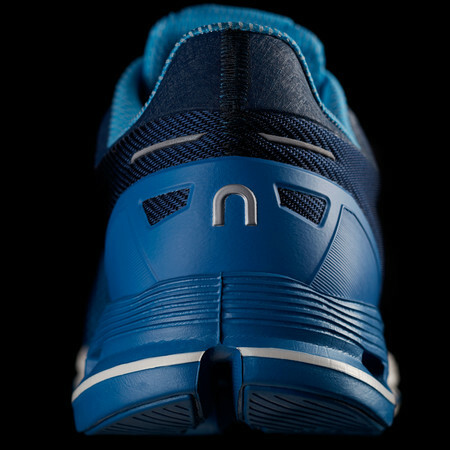 The holes are smaller on the inside than the outside to provide a gentle stabilization of the foot. 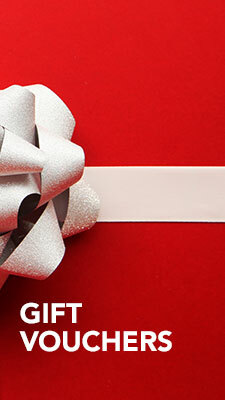 A dual layer memory foam insole - soft on top, firmer underneath - gives a lovely plush underfoot feel. 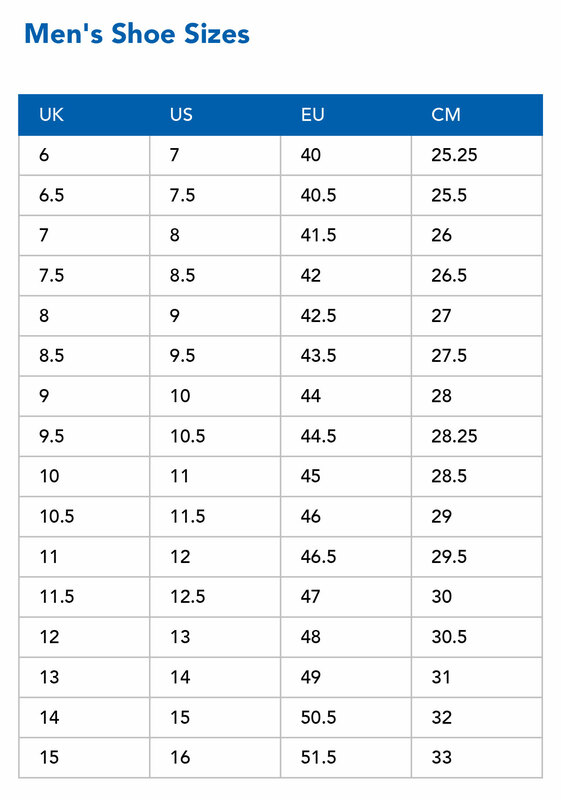 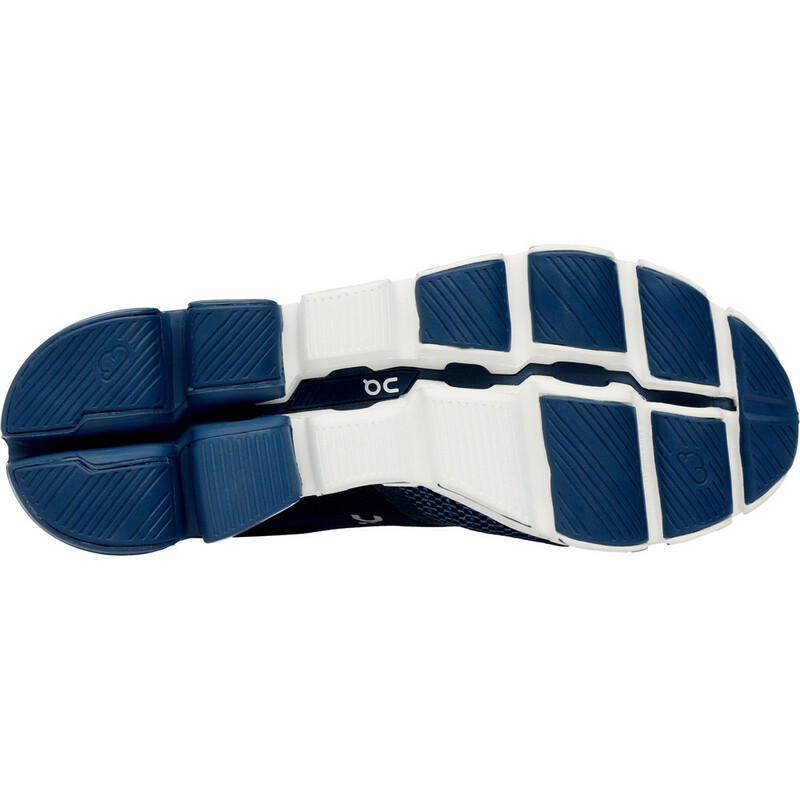 On the outsole extended rubber pads at impact zones provide durability.